OEM Solutions for Production and Manufacturing Monitoring | Monnit Corp.
Wireless sensor networks have made it far easier track and monitor production and manufacturing processes. Monnit's wireless sensor solutions allow for a wide variety of production variables to be monitored, providing valuable data and alerting a production supervisor if something is wrong. 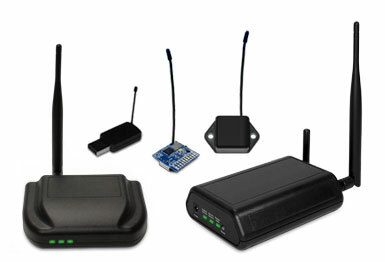 Wireless sensor networks can improve production and efficiency in various areas. For example, adding wireless sensors to a production machine, makes it smart enough to let maintenance know when it needs service and what needs to be repaired. This type of information helps streamline production and keeps machines working at their highest efficiency. Wireless sensors can also be used to monitor facilities systems, providing cost savings in areas like heating and ventilation, area access, light and power management. What are Monnit OEM Sensors? Monnit OEM sensors are a complete wireless sensor platform consisting of wireless sensors, gateways and monitoring software that you can manage, brand and own. Our products offer a complete sensing, data tracking and alerting solution that has been tried and tested in some of the most demanding industries. Our products are offered in an un-branded format for resale and private labeling. Developing your own solution from the ground up takes time and money! Why not use our ready built, low-cost wireless sensing and alerting solution? Why Should You Use Monnit OEM Sensors? Save time and money with a complete ready built platform. Why build your own system when you can use a complete, low-cost, tried and tested solution from Monnit? 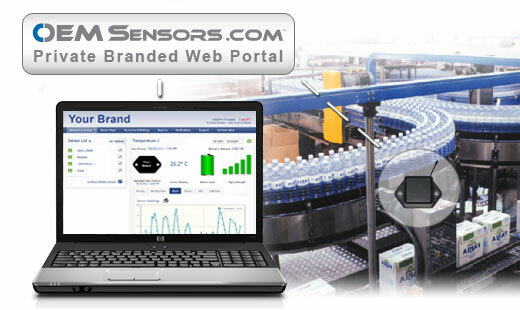 White label sensors, gateways and software with your own private brand. Generate recurring revenue by providing data collection and monitoring services to your customers.